Send Automated Traffic into Any Website! Download your licensed copy of AutomatedHits right now and begin sending unique automated traffic into any website from all around the world. This user-friendly traffic software comes loaded with cool features and is guaranteed to be completely safe against all ad networks. Whether you sell traffic for extra income, or just want give your sites a boost and increase the current number of visitors and pageviews they're receiving; This automated traffic software can get the job done for you! The demand for gaining views on YouTube and other media outlets continues to grow each and every month. Now you can begin offering both picture and video views by using the AutomatedHits application. Start your own view increasing services today! Grow your websites value and exposure by sending extra traffic and pageviews using AutomatedHits. Expanding your websites traffic with this software doesn't only help increase your visitor count, it can also help decrease your websites bounce rate! Make extra income by selling unique traffic to others. Webmasters are always buying traffic from different marketplaces and you can begin selling unique traffic with this software. 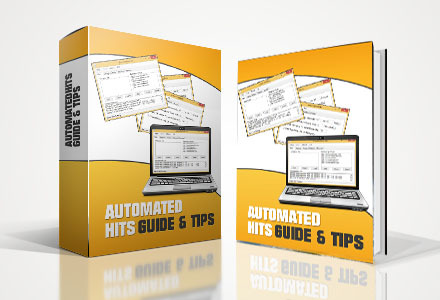 AutomatedHits let you send unlimited amounts of hits into any webpage!